Amsterdam, 12 May 2016 – Display specialist AOC adds a new borderless 27&#8243; monitor to its Style line. 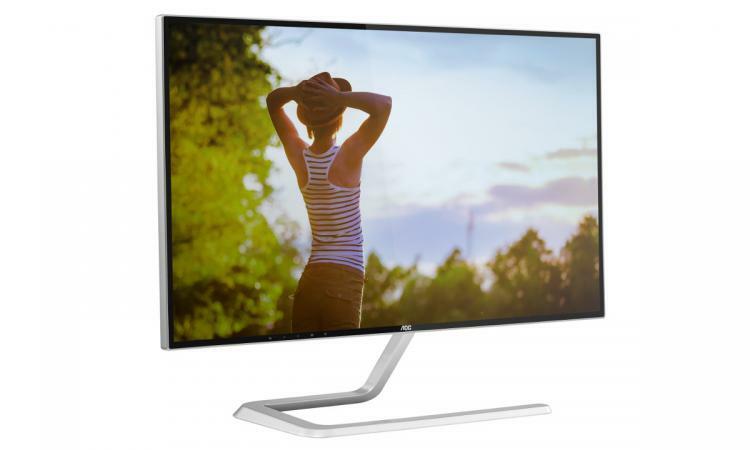 The AOC Q2781PQ once again impresses with an ultra slim design and asymmetric stand, but this time comes with QHD resolution (2560 x 1440) and a new 4-side “borderless” AH-IPS panel. With excellent picture quality and features such as Flicker-FREE technology, the monitor meets the needs of style conscious home users and professionals alike. The 27&#8243; AOC Q2781PQ comes with an upgraded design and improved image quality that is certain to impress design conscious users of all types. Alongside its ultra slim appearance and stylish asymmetric stand, the display comes in a new 4-side “borderless” design with 5.7 mm black borders on the upper, left and right sides and a 6.25 mm border on the lower side. It is thus not only a real eye-catcher, but also saves space on the desk. Inside its elegant design, the display boasts the latest technology providing you with a first-class viewing experience. It features a modern AH-IPS panel that allows for wide viewing angles of 178°, ensuring brilliant colours with 100% sRGB consistency and best colour uniformity from any perspective. 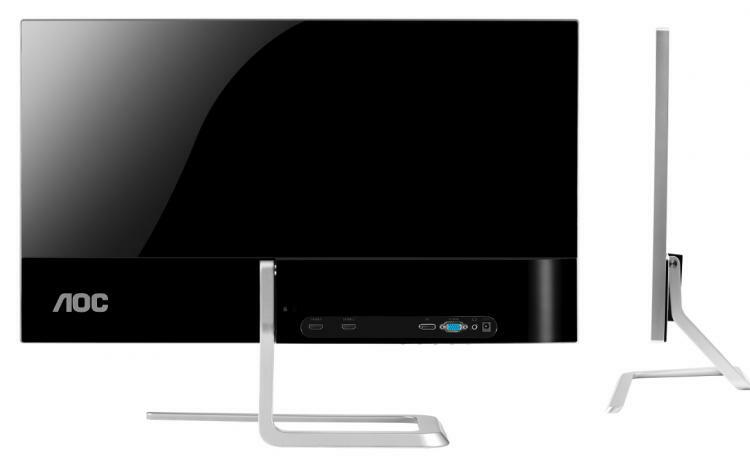 The AOC Q2781PQ comes with QHD resolution (2560 x 1440 pixels) and over 3.6 million pixels. Users interested in image or video editing can consequently benefit from crisp and vivid visuals that impress with great detail. Modern features such as Flicker-FREE technology and multiple video inputs turn the AOC Q2781PQ into a functional and pleasant companion at home or in the office. Users who frequently have to spend long hours in front of a display will benefit from AOC Flicker-FREE technology, which regulates the monitor’s brightness through a DC (direct current) backlight system and thus reduces the unpleasant flickering that so frequently causes eye discomfort and fatigue. The needs of those interested in hooking the stylish monitor up with their gaming consoles, Blu-ray players or portable devices such as laptops are catered for through a range of up-to-date inputs. These include a DisplayPort, two HDMI inputs and D-Sub. Whether you are looking for a monitor to edit images, work on spreadsheets at home or to impress your colleagues at the office – the AOC Q2781PQ will make the hearts of home users, power users or fashionistas beat faster. The AOC Q2781PQ will be available in July 2016 at an MSRP of £279. As with all of its displays, AOC offers a 3-year warranty with on-site exchange service.